Cave Story Retail Release for the Nintendo 3DS! This is the news that I’ve been waiting for where the highly acclaimed Cave Story is concerned. I’ve heard so much about this indie gem, and have wanted to experience it (beyond the demo) for what seems like forever, but the simple fact is that I wanted to be able to take it with me on a portable system, and even more than that, I wanted to be able to own a physical boxed copy of the game for my collection. I do consider myself a game enthusiast, and collector, so that’s just something I’d like to be able to call my own. Don’t get me wrong, I’d have definitely purchased the game using Nintendo’s online service once I picked up the Nintendo 3DS (for the record, I own the DS Lite) and still might so as to have something closer to the original version as well, but the newly announced Nintendo 3DS version of Cave Story set to hit store shelves this summer is exactly the kind of thing I was hoping for! The original Cave Story took me five years to create, and the testers that were playing the game, they wanted to have something even more difficult than the original stages. So I created the Hell stage, and put so much effort into it that I basically said, “all right, this is the grand finale for Cave Story for now.” And then I wanted to create a few other games on the side, which I was able to in the past few years. So I’m satisfied with that. 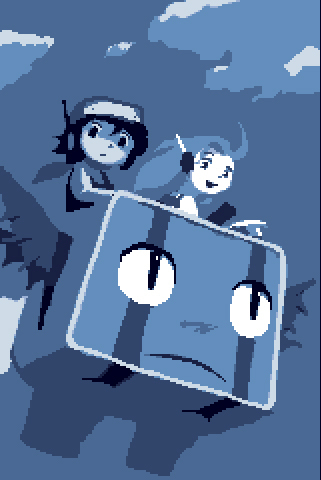 It’s now been 10 years since the original Cave Story came out, so I’m now thinking that maybe it’s time to start thinking about a sequel for Cave Story. There’s a very, very good chance we’ll see a sequel.